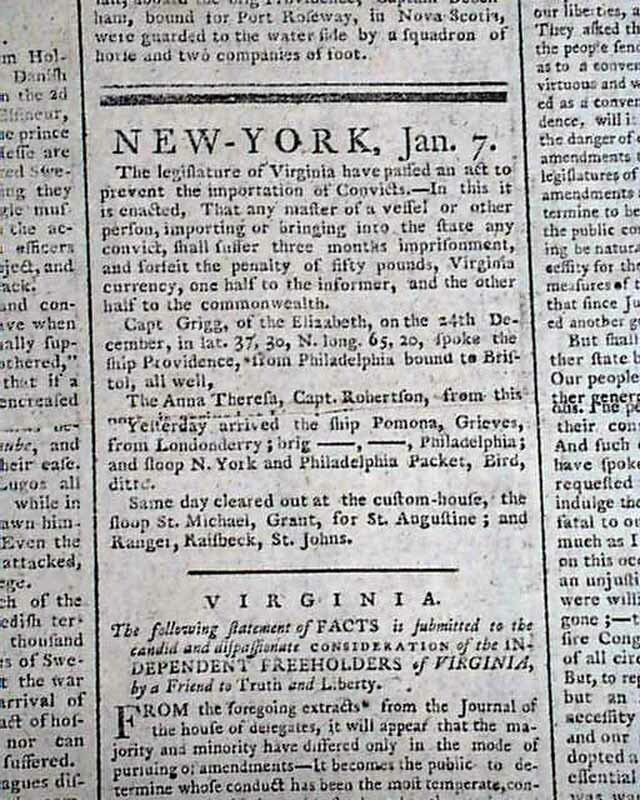 THE DAILY ADVERTISER, New York, Jan. 7, 1789 Page 2 has an item: "The legislature of Virginia have passed an act to prevent the importation of convicts...". 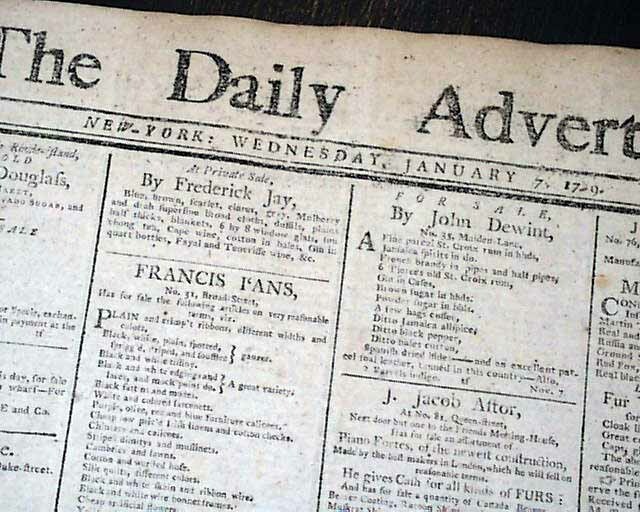 Also a lengthy letter: "...Statement of Facts is Submitted to the...Independent Freeholders of Virginia by a Friend to Truth & Liberty". 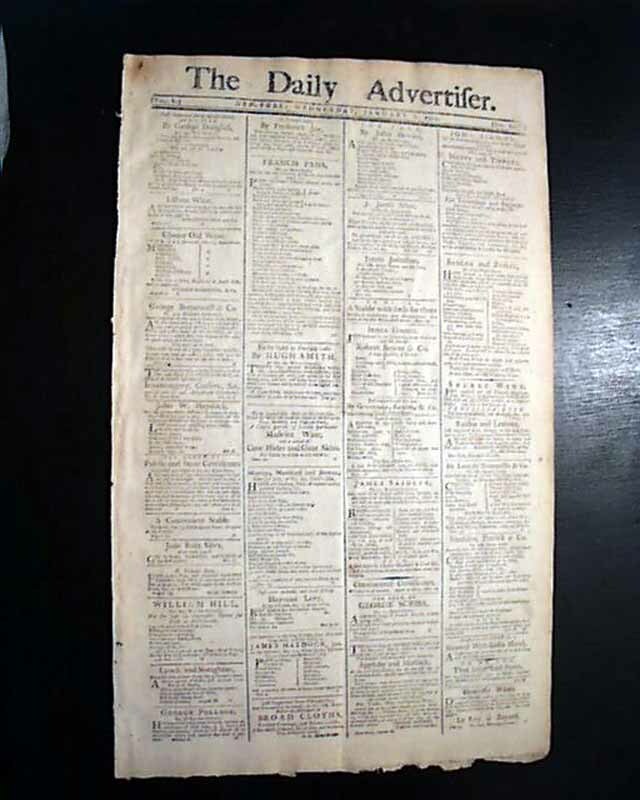 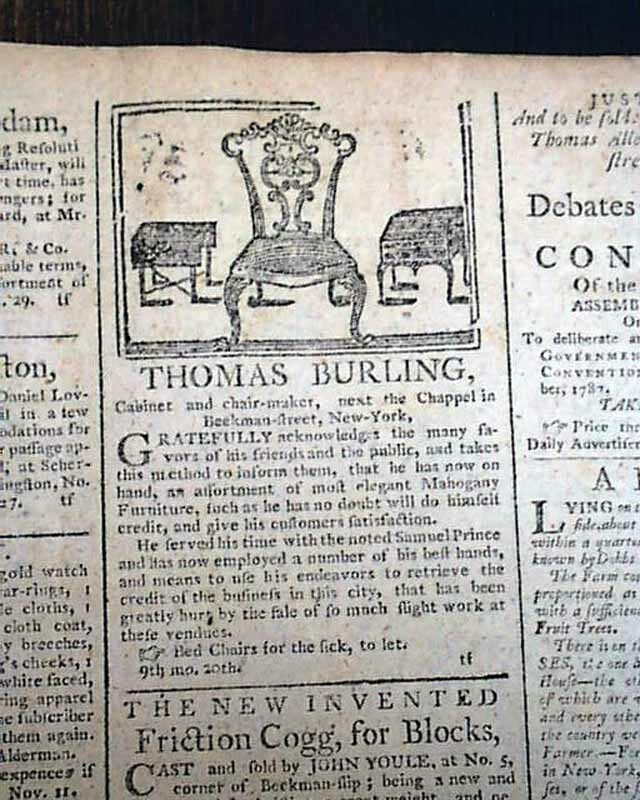 The back page has 13 illustrated ship ads and a nice illustrated furniture maker ad (see).